Android users can download the free app for use on Android devices from the Google Play Store. View a story, its author and its comments. 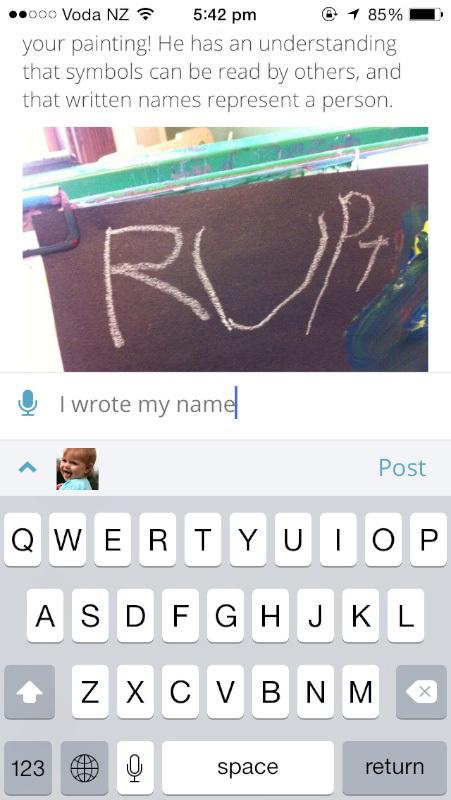 View and respond to conversations, community posts, child notes. 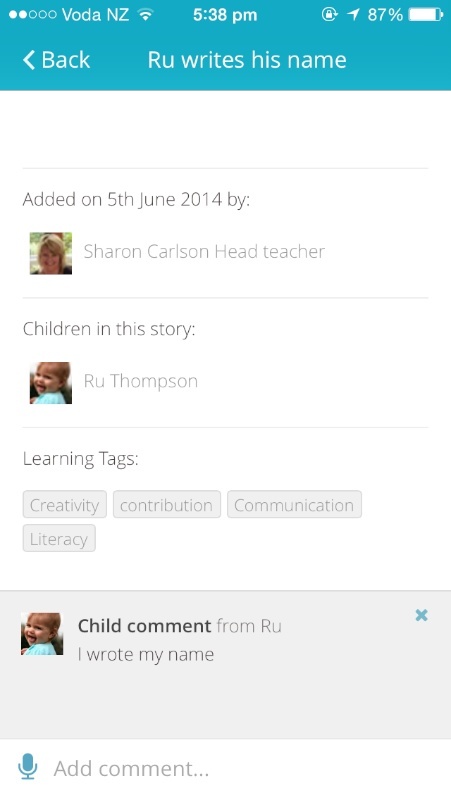 Record audio comments (great for adding a child's voice to their own story). Add text comments (your own, or a child's). Add audio comments (your own, or a child's). If you'd like to use the full functionality of Storypark on your mobile device (eg. adding and managing children, teachers and family members, managing learning tags and sets, writing community posts and children's notes, creating reports, etc.) you can do so by opening and signing into Storypark in your phone's mobile browser (eg. Chrome, Firefox, Safari, Internet Explorer). 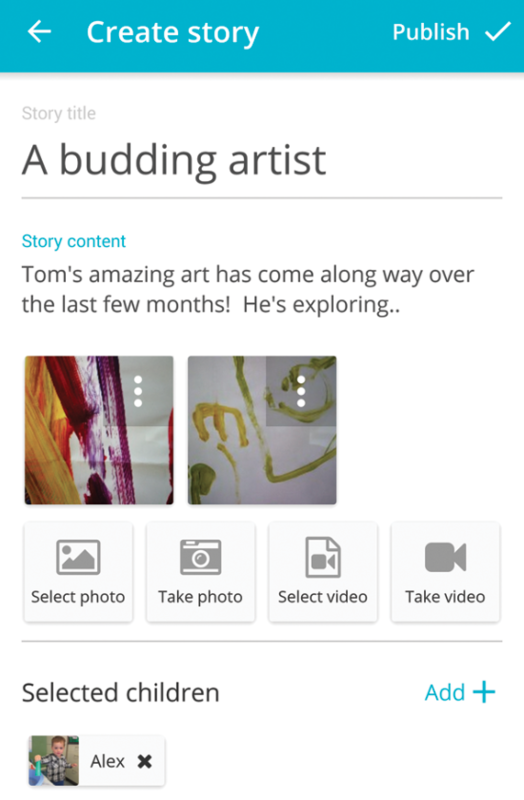 This article is about using the Storypark Android app. To log in, open the app and enter the email address and password you chose when you signed up. You'll be taken to your home screen showing your 'Latest activity'. Your home screen shows all of the latest activity that has been happening within your Storypark community. You can tap the right-hand icon with the '+' symbol in the blue bar at the top to create a new story. 1. Tap the 'Create story' button at the bottom of the screen. 2. You'll be taken to the story editor. 3. Here you can write your story and give it an optional heading. 4. Add the child or children in the story by tapping 'Select child' at the bottom of the screen, and selecting one or more children. 5. When you're finished, tap 'Done'. The children's names will appear in a grey box beneath the story. 6. Select one or more tags, and they'll appear in boxes beneath the story. 7. Add a photo or video by tapping the appropriate buttons at the bottom of the screen. You can take a photo (or video) or select an existing photo (or video). 8. If you select 'Take photo', your camera app will open. 9. If you select 'select photo' or 'select video', you'll see all the photos and videos that are already on your iOS device. Select one or more, tap 'Done', and when the photos or videos have finished attaching their thumbnails will be shown beneath the story. 11. To publish your story, tap 'Publish'. 12. To save your story as a draft, tap 'Cancel' and then 'Save to drafts'. 1. Tap on the story you'd like to make a comment on. 2. Tap in the comment box beneath the story. 3. Type your comment and tap 'Post'. It is important to revisit stories with children, and helping a child to actively comment on their own stories is a great way to involve them. You may want to write something the child has already said to you about this story, or you may want to dictate what a child is saying to you at that moment. Tap on the story the child will be commenting on. Tap in the comment box beneath the story. Tap your profile picture beneath the comment field. Select the child you're making the comment on behalf of. Type the child's comment and tap 'Post'. Tap on the story you'd like to make a comment on. Tap the microphone symbol next to 'Add comment...' and recording will begin immediately. When you've finished recording your audio comment, tap 'Done'. If you wish to start again, simply tap the red 'x' next to your recording to delete it. If you're happy with your recording, tap 'Post'. 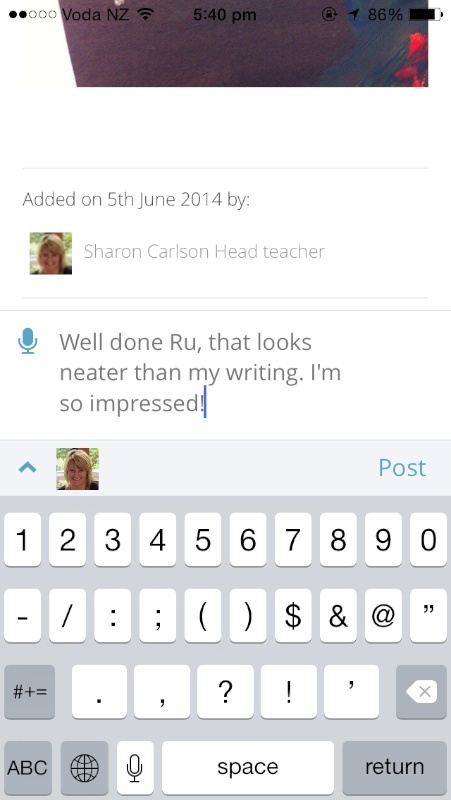 When the child has finished recording their audio comment, tap the 'tick'. Tap on your profile picture beneath the comment field. Select the child who's making the comment and tap 'Done'. If you and the child are happy with the recording, tap the 'Post' button. You can delete any comments you or a child makes by taping the 'x' to the right of each comment. Tap the left-hand icon with the three lines in the blue bar at the top, select 'Drafts', and you'll see a list of all the draft stories you've started on your device. Select any draft to take you to the half-finished story where you then can edit, delete or publish it. Tap the left-hand icon with the three lines in the blue bar at the top, and select 'Log out'.